Reduce Costs, Reduce Emissions, Reduce Downtime! 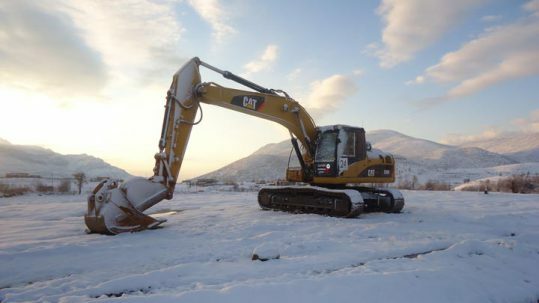 Thermex is raising the bar when it comes to heavy equipment cold protection. We are a design-build manufacturer of heating components to serve various heavy industry applications. Our modular components provide an overall flexibility in use, and can be easily retro-fitted to any heavy equipment. In addition, our systems provide the foundation for an extensible framework that can be expanded and built upon as the need arises. We pride ourselves on quality manufacturing techniques. 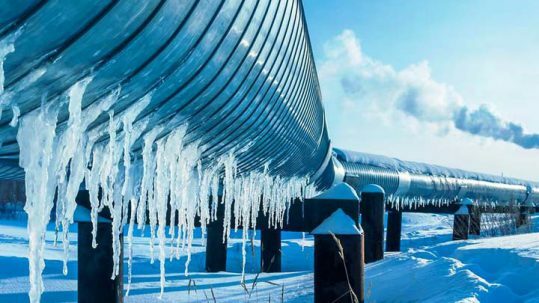 Thermex heating components are ruggedly designed for heavy use in the most extreme cold climates. 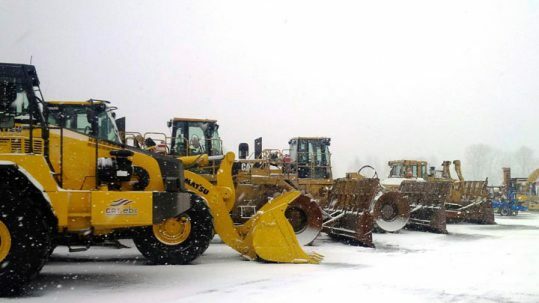 If you are in need of heavy equipment cold protection solutions for your fleet and assets, have a look at our products. For sales inquiries, feel free to call us Toll Free: (800) 865-1532 or Contact Thermex Sales. Thermex is pioneering the industry with our fluid & fuel warming systems. Our patented HeatProbe™ system is a solid solution for hydraulic fluid heating. Our TankerTherm™ system, which leverages multiple HeatProbes™ is a turn-key system for bulk transport fluid warming, DEF heating, IBC tote heating, and hydraulic tank heating. Our modular component design allows for customizability to any heavy equipment industry applications. Our HeatProbe™ fluid & fuel warming systems are an excellent choice for on-highway trucking as the components can be tailored to your needs and individual application, sharing hot engine coolant to keep your critical systems warm. Thermex engine heaters are an essential addition to maintain your assets for optimum heavy equipment cold protection. Our PortaThaw® System is designed to quickly heat up freezing coolant lines and pump hot engine coolant to all other critical systems. TundraTherm™ is an on-board supplementary coolant heater that provides additional protection to warm engines, fluids and key components. DynaHeat™ units are designed to use 120V or 240V power to heat and force-circulate coolant to engine blocks. HotBox™ mobile hot air system helps you get frozen assets additional help to get started. 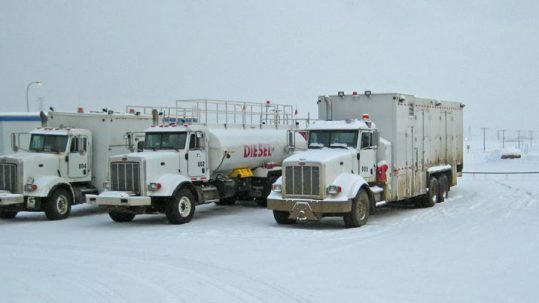 FleetHeat™ is a centralized warming unit to keep your entire fleet warm overnight or during shutdowns, to prevent over-idling. Over-idling of heavy equipment is costing the industry millions of dollars every year, negatively impacting the environment. Thermex takes a proactive approach to this problem with our ThermaStart™ idle reduction systems. Off-highway trucks and equipment can benefit immediately from ThermaStart™ which can reduce idle time, fuel consumption, and carbon emissions by up to 80%! On-highway trucks and equipment also benefit to cut idle time, fuel consumption and carbon emissions by up to 70%. ThermaStart™ for Light Towers is the perfect solution to reduce operating costs, maintenance and carbon footprint. ThermaStart™ for compact equipment such as generators, forklifts and welders significantly reduce costs and idle time on the job site. Thermex stand-alone heating systems are essential for heavy equipment cold protection on freezing job sites. Our WaterLine Heater™ is a diesel-fired heater designed for the Mining & Exploration industry for heavy drilling. It maintains water temperatures from the pumping station to drill heads and prevents frozen water lines. Our PortaThaw® cold start system can quickly recover downed assets in harsh temperatures, designed to warm up engine coolant and pump to critical systems. The Thermex PortaBatch™ is a complete turn-key system designed for concrete batch heating. It is capable of generating a completely heated 1000 L / 264 GAL batch of 48° C /114° F water every 48 hours for consistent output. Thermex builds custom design-to-order equipment for individual heavy equipment applications. Our PortaWash™ transportable fleet washing system is a great way to keep your fleet clean when you need a mobile washing bay. Our Lube Transfer systems are designed to be used as a stationary lube storage and transfer system, or they can be configured as a mobile cart station that can be moved around your shop. Thermex Fuel Transfer systems help the environment by upcycling decommissioned equipment fuel tanks. We also offer custom Pump Packages, and Gen-Set Packages for your individual needs. 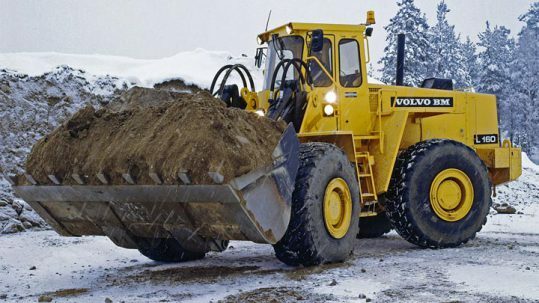 Thermex modular components provide the best heavy equipment cold protection, and can be used in many heavy industries. About Thermex Engineered Systems Inc. 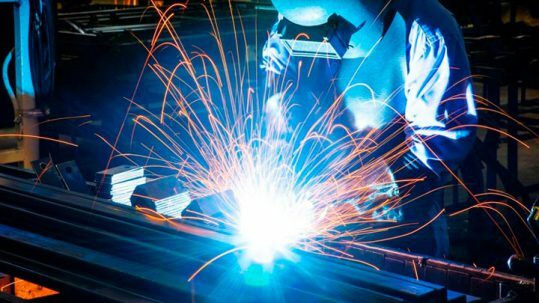 Since 1978, our group has been focused on specialized heat transfer systems and equipment, particularly geared towards the heavy industrial sectors. With applications in Mining & Exploration, Oil & Gas, Bulk Transport, On-Highway Trucking, Construction & Aggregates, Public Works & Utilities and Forestry markets. Our compelling edge is to develop and produce leading-edge, clean technologies relating to diesel powered vehicles and equipment. All designed to work in extreme cold climates. Thermex is committed to provide top quality products and solutions at optimum cost, and to continually improve our quality management system. Ensuring customer satisfaction and minimum or no downtime.